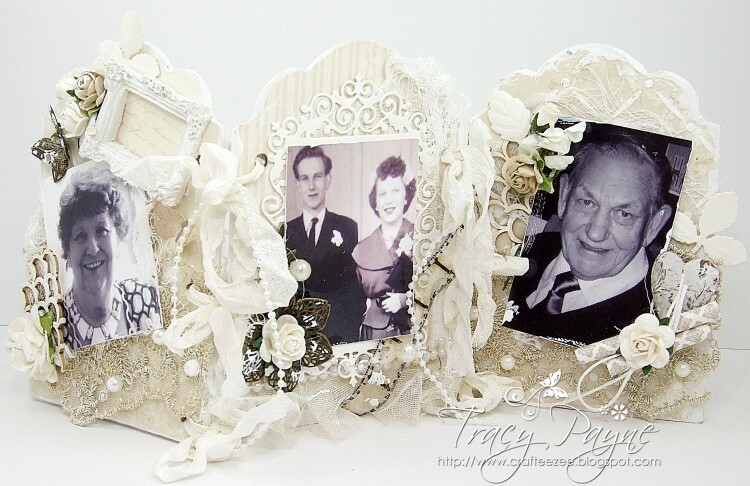 Tracy here, sharing an MDF Triptech made using the Pion Design Vintage Wedding collection. I have chosen the creams/beighes. 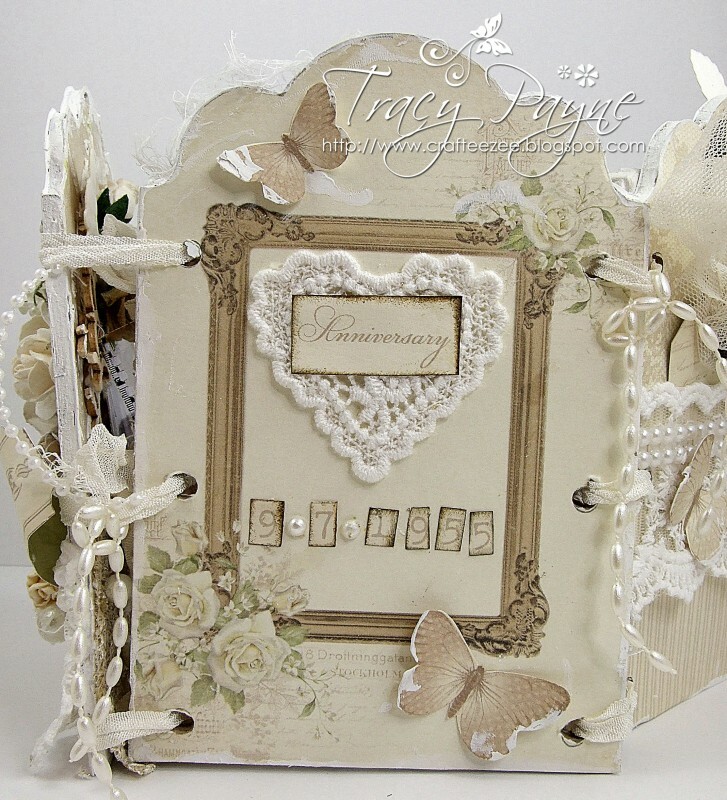 I think these papers are beautiful and perfect for weddings, anniversary’s and anything vintage. 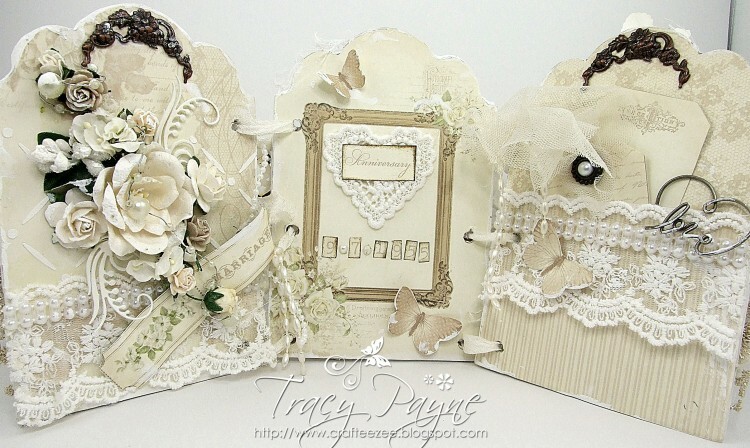 Oh, my….Tracy, this is gorgeous! Love the colors, the die cuts, how you arranged everything!